28/12/2012 President Chwee Chin and Peggy attended the Lions Club of Serdang Charity Nite, theme “Serdang Hakka Traditional Cuisine Charity Nite” held at Restaurant Hee Loi Ton, Serdang. The event was of resounding success with 100 tables and raising over RM84,000.00. Funds raised are in aid of their Mobile Clinic project, Walk with the Lions & Prosthetic Leg project. We wish to put on record our sincere thanks and appreciation to LC Serdang for sponsoring RM1,000.00 towards our project for Rumah Love and Care, Kajang to purchase pampas for the elderly. 9 December 2012 District 308B1 and B2 Joint Project – Children Christmas Party held at Subang Jaya Gospel Centre, PJ from 4 -7 pm with Guest of Honour YB Hannah Yeoh. 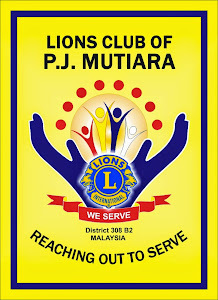 The Clubs involved were Lions Clubs KL (Host), KL Taman Tun, Damansara KL, KL Central, KL North, Subang Jaya, Sungai Buloh, Petaling Jaya, Klang & PJ Mutiara. Event started with caroling and singing by children followed by welcoming address by OC Lion Irene Chen of LC KL Taman Tun. Thereafter YB Hannah Yeoh gave her address and made a donation of RM2,000 towards this project. Other highlights included violin presentation by Jordan Dass, face changing by Ms. Liao Jing Jing, Michael Jackson dance by Andrew Lee and wrapped up with magical clown show by Sweety The Clown. Buffet dinner were served at 6 pm followed by the distribution of goody packs to the respective homes. House of Joy were unable to make it, however, the committee were generous to donate the goody packs to them too. Thanks to Lion Yvonne and Jamie who took charge to get the goodies delivered within the week.